In today's hip hop scene beef usually stays on Twitter, barely making into a verse, let alone the streets. We can't say we're mad about the latter, but tonight a recurring new school rap feud boiled over into real life once again. For months now SpaceGhostPurrp and his Raider Klan have made it public (on Twitter) that when A$AP Rocky came to Klan's homestate of Florida, there would be problems. Well tonight they kept good on their word, when the 'Long.Live.A$AP.' tour rolled into Miami. Purrp and The Klan were on hand at The Fillmore, when they stormed the A$AP tour bus area coming to physical blows with various members of the A$AP crew. While video footage has yet to surface, apparently there were over thirty members involved. This is a developing story, so keep checking back throughout the day for more details. 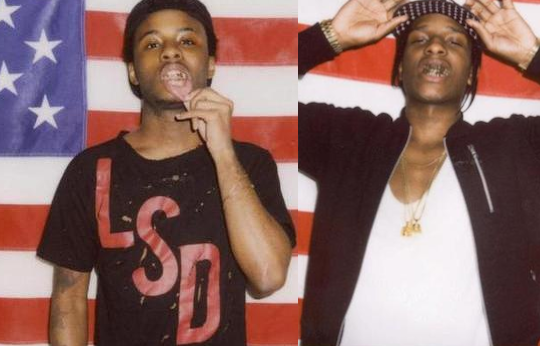 Did Raider Klan & A$AP Mob Brawl In New York City Tonight?